For more information about OHNS visit cookmedical.com. 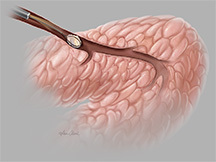 It’s hard to believe that just a few years ago minimally invasive endoscopic treatments for obstructive salivary gland disorders didn’t exist. 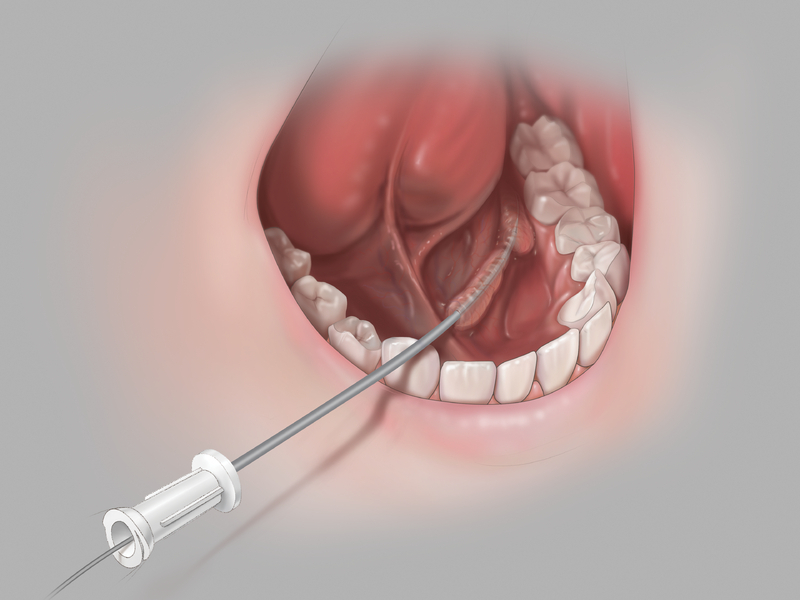 In the past the options for treating the pain and swelling were to cut open the duct to access and treat the blockage or to perform surgery to remove the entire salivary gland. Gain and maintain access with a wire guide. Sialendoscopy starts with accessing the salivary duct through the papilla. A flexible Cook soft-tipped wire guide can be maneuvered into the duct. This wire guide allows you to gain and maintain ductal access throughout the procedure, which reduces trauma and maximizes efficiency. Minimize trauma with sequential dilation. Once you establish access with the Cook soft-tipped wire guide, you can introduce a series of flexible dilators over the wire guide in order to expand the papilla and to prepare the salivary duct for the introduction of procedural instruments. Create a true working channel. After you expand the papilla with the dilator set, you can create an open working channel into the salivary duct by passing the sheath over the wire guide. The sheath also serves to protect the ductal wall as you insert and remove procedural instruments. Manage challenging salivary stones with durable nitinol stone extractors. Once you have gained access to the duct, you can insert the NCircle® or NGage® nitinol baskets into the duct to remove salivary stones and fragments. 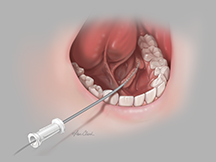 The NCircle® Salivary Stone Extractor has a tipless configuration that allows you to position the basket against the mucosal lining. 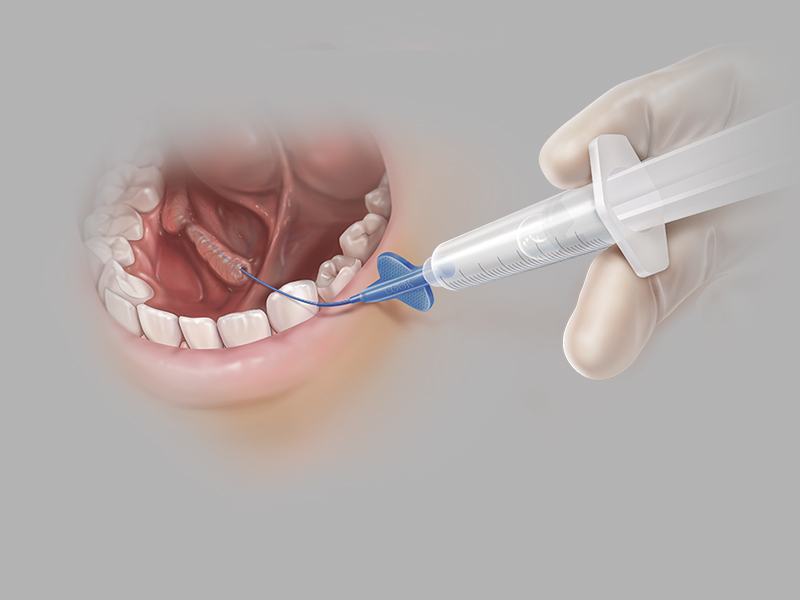 Once you have gained access to the duct, you can insert the NCircle® or NGage® nitinol baskets into the duct to remove salivary stones and fragments. 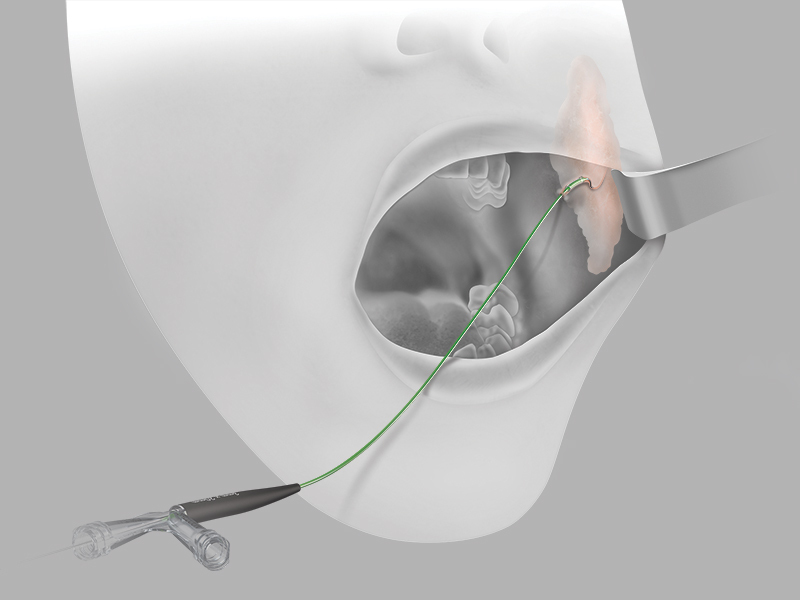 The NGage® Salivary Stone Extractor works as both a basket and grasper in one. 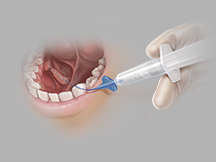 Expand your ability to treat obstructive salivary gland disorders. This flexible, soft-tipped catheter is inserted over a wire guide or through the Kolenda Introducer Sheath to irrigate the submandibular or parotid salivary ducts or flush stone fragments. 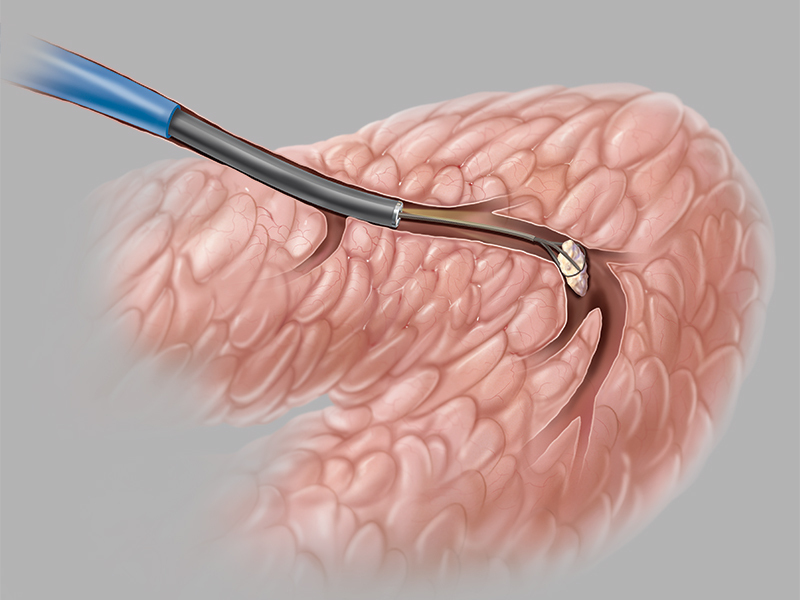 Once you have created a working channel in the duct, you can insert the balloon catheter over a wire guide and use alongside a sialendoscope for direct visualization to dilate at the stricture site. What is obstructive salivary gland disease? Why should physicians consider an endoscopic approach versus open surgery? What is the future of sialendoscopy? Cook Medical is a proud supporter of several additional training opportunities hosted by schools of medicine throughout the country. If you are interested in receiving information on future training opportunities, please visit our Vista website. For more information please contact us at CookOHNS@CookMedical.com with your name, location, and inquiry.